On November 20, 2018 Don Dooms of Horseshoe Bend, Idaho passed away from complications of esophageal cancer. He was surrounded by his loving family. Don was born in Champion, Missouri, to his parents Goldie and Trellie Dooms, and was raised with 5 brothers and 5 sisters. He left home at age 18 and eventually settled in Horseshoe Bend, Idaho. In 1953 Don married Verna Stephenson and together they had 5 children; Murrell, Darwin, Jeff, Sandra and Brigitte. Don and Verna remained in Horseshoe Bend and were both very involved in their community. Don was a hard working man with a strong work ethic and he continued to work until the age of 82. He spent most of his career driving trucks including logging trucks, dump trucks and car haulers. He also worked as a mechanic and worked at the local saw mill. 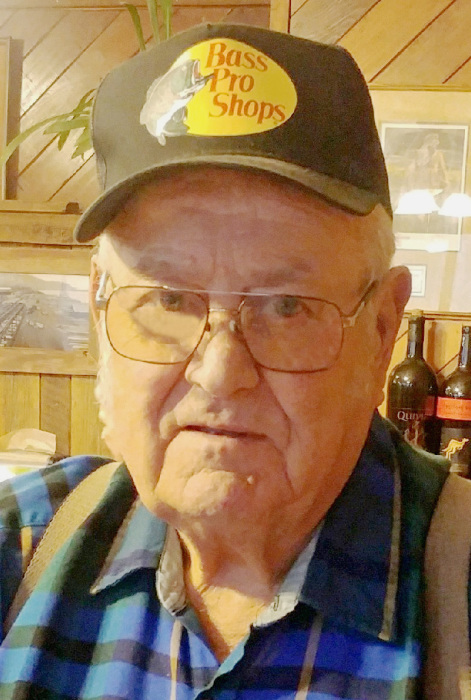 Don had many passions including fishing, hunting, being outdoors, spending winters in Arizona, traveling to Missouri to visit his family, and spending time with his family in Idaho. Don was blessed with 12 grandchildren and 15 great grandchildren. Don enjoyed telling stories and jokes and made a lasting impression on everyone he met. He was a loving husband, father, grandfather, and great grandfather and he will be greatly missed. He is survived by his significant other, Emma Buell; children, Murrell (Peggy), Darwin (Pam), (Teresa), Sandra, and Brigitte (Chris); and 4 siblings. He was preceded in death by both of his parents, 6 siblings, grandson Jared, granddaughter Elizabeth, wife Verna, and son Jeff. Visitation will be held on Friday, Nov. 30th from 3:00 p.m. to 8:00 p.m. at the Potter Funeral Chapel in Emmett. Graveside Service will be held at the Pioneer Cemetery in Horseshoe Bend on Saturday, Dec. 1st at 2:00 p.m. Please join us after the service for a potluck reception at the Horseshoe Bend Ladies Club Hall, 121 W. Boise Street, Horseshoe Bend, Idaho.